W ater meters are furnished and maintained by the Authority and remain the property of the PVWA. 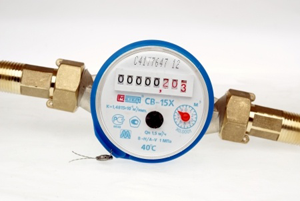 All water meters are read monthly. Water meters must be conveniently located and approved by the Authority. Water meters must be positioned by the applicant so that they can be easily read and protected from damaging weather. The applicant should notify the Authority of any defect or other issue preventing the proper operation of the meter, as soon as the applicant becomes aware of the problem. No one other than the Authority and its employees will be allowed to remove or repair meters. All water usage is measured using a meter. Do you know where your water meter is? To check for leaks. A good way to tell if you have a leak is to read your water meter before going to bed and reread your meter in the morning before any water is used. If the reading changes, you have a leak. You might be interested in how much water is being used on a daily, weekly, and monthly basis. Most meters are simple to read, like the odometer of a car. Location: generally located in the basement of your house in the corner where the waterlines enter your house. For more information, visit our What to Do if You Have a Leak page.